By collecting data on our everyday behaviour, technologies end up knowing us better than ourselves. 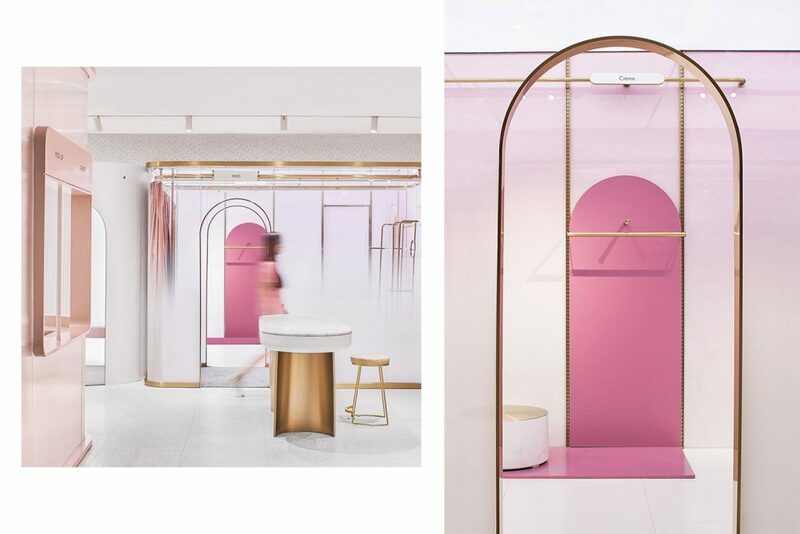 Following the example of Style Check, mentioned in the AW20-21 Influences Trendbook (page 7), DayLab studio has just completed the interior of the “HeyShop” store in Shanghai, China. 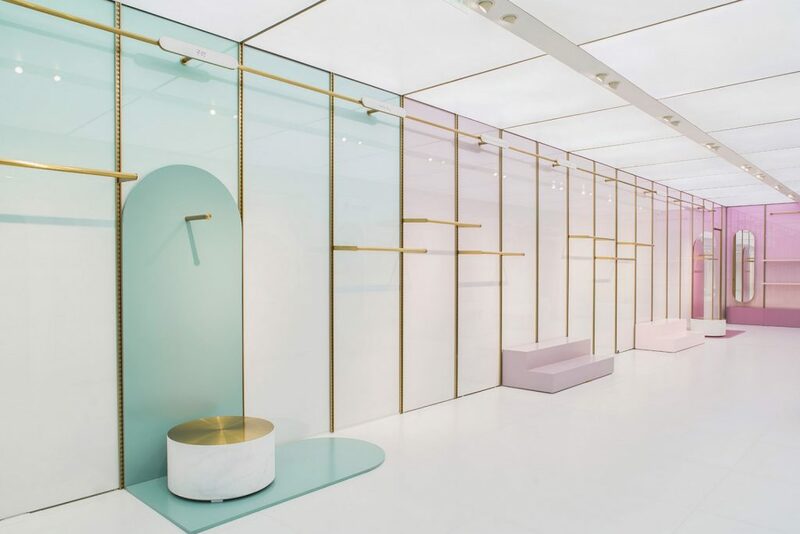 Relying on both online and offline commerce resources, HeyShop offers a unique shopping experience in a space with a minimalist and futuristic décor. 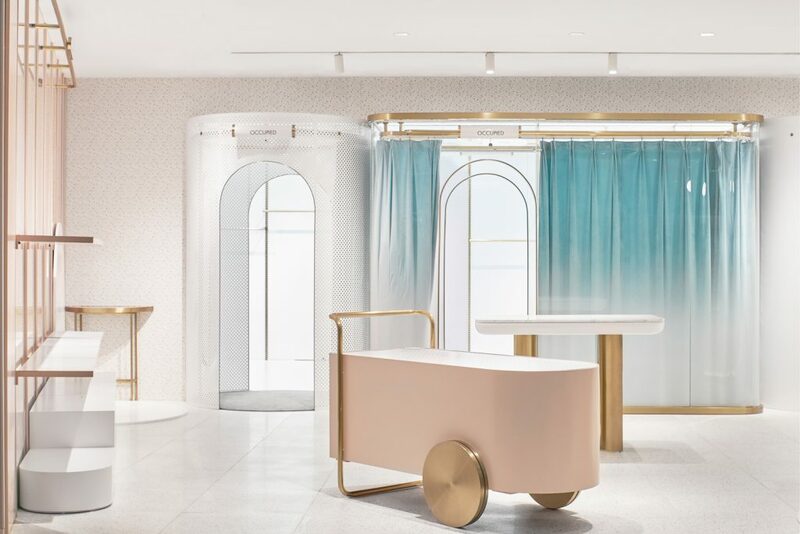 While we usually set offline or physical selling against online selling, this is not true for HeyShop, a new Chinese store concept that has had the bright idea of combining the advantages of the two options. HeyShop offers a frequently changing selection of products (ranging from cosmetics to decorative objects, through fashion accessories) that is based on analysis of consumer preference data in near real time. HeyShop merely mirrors the major purchasing trends and provides an extremely flexible and highly desirable product offering. In order to adapt to the many changes in the product selection, DayLab studio has created a rather streamlined and minimalist space characterised by fresh pop colours. The changing rooms play a central role at HeyShop, as they provide a service from which it is impossible to benefit when purchasing online. 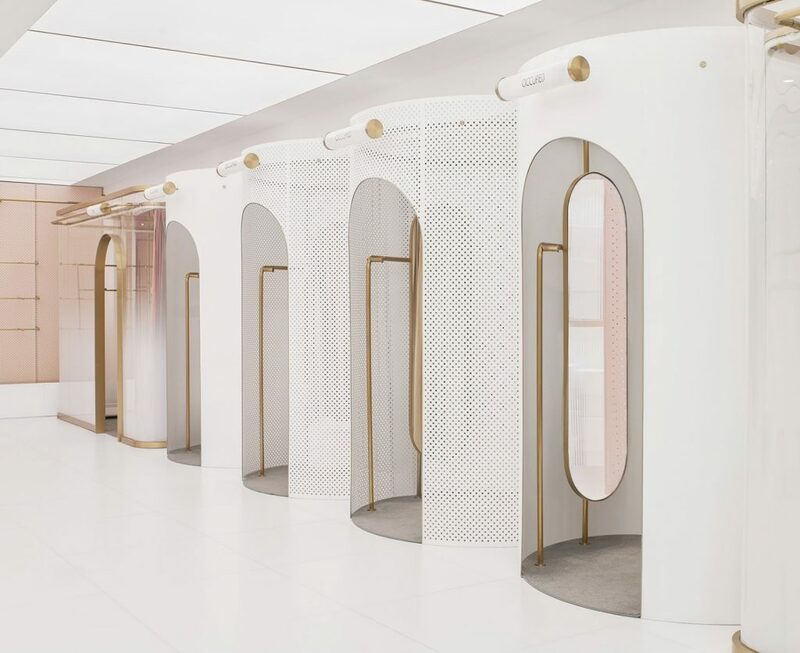 No fewer than seven changing rooms are therefore arranged at the heart of the space to best satisfy the demands of customers looking to enjoy the advantages of shopping in a brick-and-mortar shop. 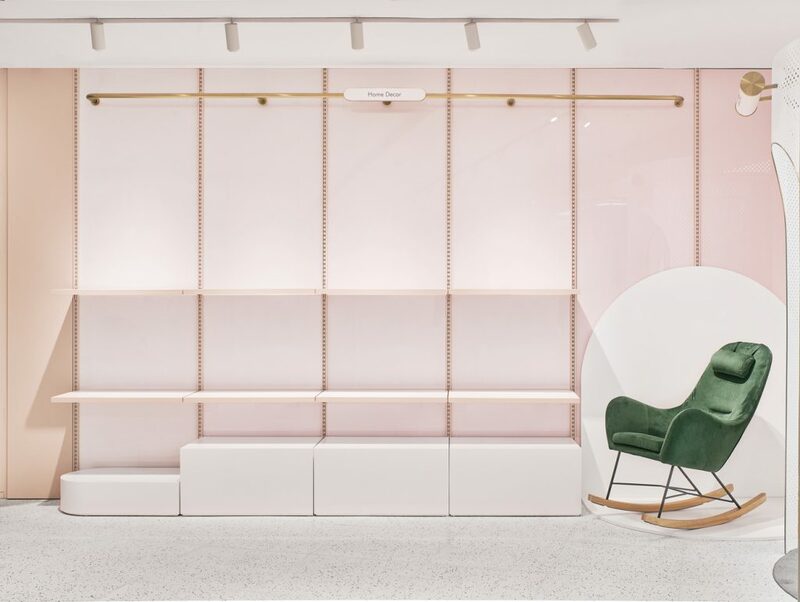 To make the store visit even more pleasant, HeyShop has been designed first and foremost as a space where people can meet up and hang out.